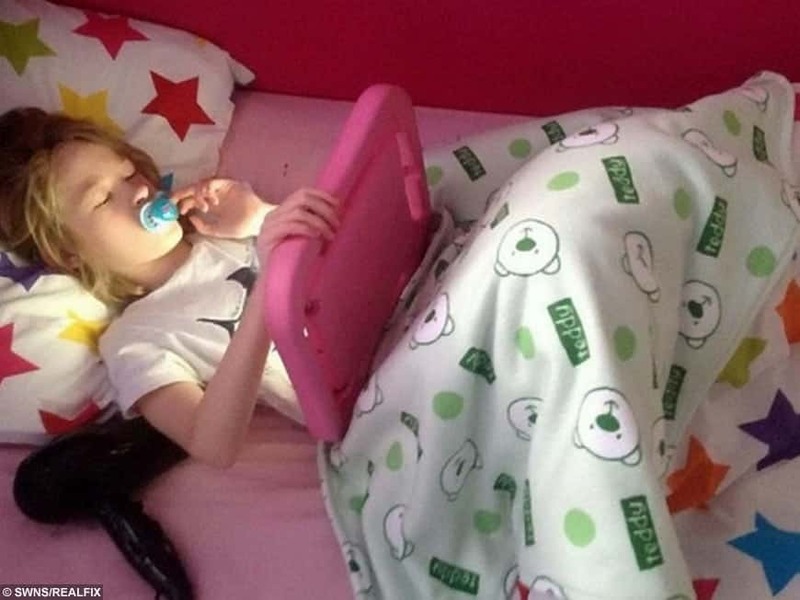 A devastated eight-year-old girl with autism has been made an exact replica of her precious blanket to replace her life-long comforter after a global appeal. Bella Mildon had never been apart from the fleecy green teddy bear quilt ever since nurses wrapped her in it when she was born prematurely weighing just 3lbs. But the green fleeces had deteriorated with age and Bella, who cannot speak, self-harms and has the mental age of a one-year-old child, was desperate without them. Bella, who was five weeks premature and requires 24-hour care, took the special ‘greens’ everywhere and were a “lifeline” in keeping her calm when she had a seizure. Parents Dave and Sam, of Nailsea, Bristol, faced a dilemma when the ‘greens’ became threadbare and full of holes and started to fall apart. They tried giving Bella similar fleecy blankets but she wouldn’t accept them and they scoured the internet and shops to find a replacement to no avail. They posted a plea online in a bid to track one down and the appeal was shared worldwide, with people in Spain, France, Australia and America trying to help. But London-based photo gift company Bags of Love stepped in and made an exact replica of the blanket for free, which arrived in the post last week. Mum-of-three Sam, who is Bella’s full-time carer, said she and Dave burst into tears when the package arrived. She said: “Bella has not been without her greens since she was born, and uses them as a form of self-soothing. “They go with her everywhere, to hospital appointments, to school and various outings, and she sleeps with them at night. “To a lot of people, this blanket may seem a small thing but for David and I it is our only real source of communication with Bella. “Her greens calm her and keep her safe and have been a steady thing in her life. 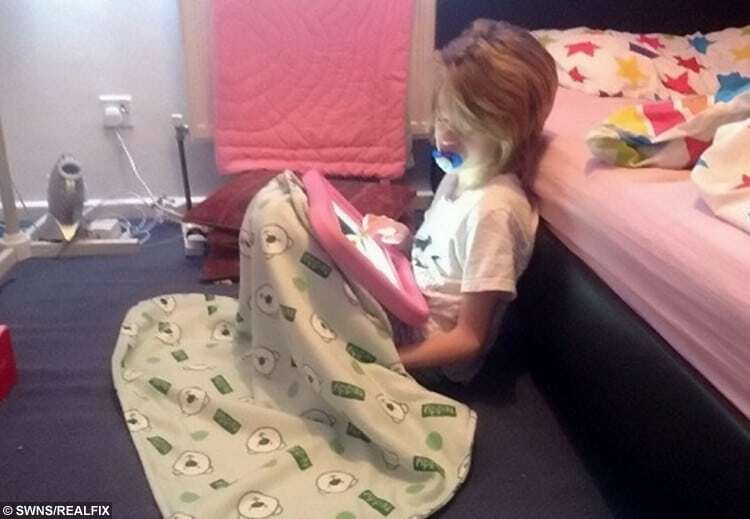 “When the blanket arrived we opened the parcel, looked and it and both burst into tears. It is exactly the same as the old one. 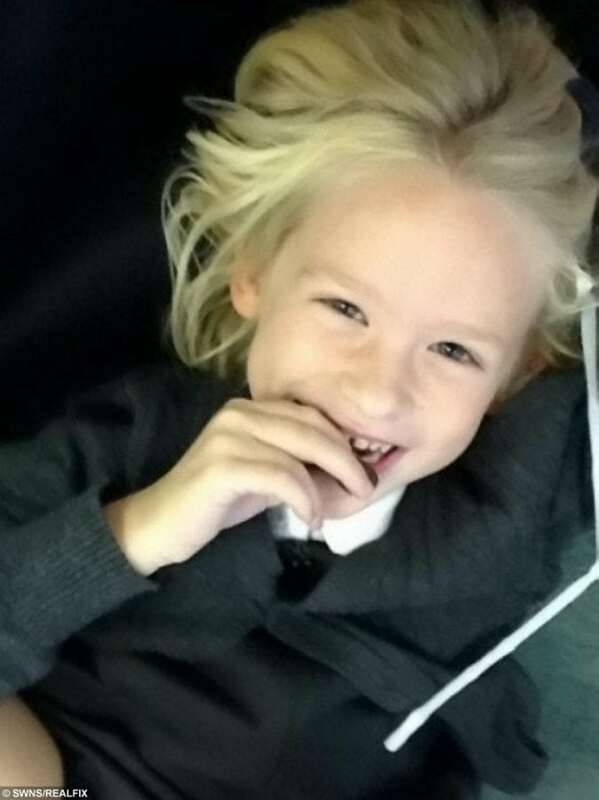 “We took them to her and said ‘Bella, new greens,’ and she gave us the most amazing smile. Dave, an artist, and Sam sent more than 25 pictures of the old blanket to designers at Bags of Love to ensure the blanket was an exact replica. Sam said: “We are so grateful to everyone who shared our appeal on Facebook to try and help us and obviously to Bags of Love, who produced the blankets for free. “We were gobsmacked they wanted to do this for us free of charge, ” said Sam. Bags of Love senior marketing manager Stefanie Mros said: “We were delighted to be able to help Bella. I know Bella, Sam and Dave, and they are a lovely family. Words cannot explain how important this blanket was to Bella, and with ever changing designs and fashions, every attempt to find an ‘original’ blanket failed. As Bella was born in Spain we had Spanish friends and expats scouring the shops for a match, all to no avail. Bags of Love have gone above and beyond by producing this blanket, and then not charging for it. Thank you, you wonderful people. Does the prime minister regret cutting 21,000 police officers?